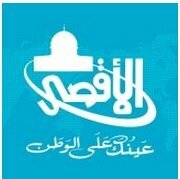 General TV Channel / Al-Aqsa TV is the official Hamas-run television channel. Its programming includes news and propaganda promoting Hamas, children's shows (such as Tomorrow's Pioneers), and religiously inspired entertainment. It is currently directed by Palestinian Legislative Council member Fathi Hamad. In May 2013, Al-Aqsa TV became the focus of media scrutiny after a decision by the Newseum to honor two Al-Aqsa TV members as part of its ongoing memorial to journalists who lost their lives in the line of duty in 2012. The U.S. government classifies Al-Aqsa TV as being controlled by Hamas, a "Specially Designated Global Terrorist," and states that it "will not distinguish between a business financed and controlled by a terrorist group, such as Al-Aqsa Television, and the terrorist group itself." According to the American Jewish organisation, the Anti-Defamation League, Al-Aqsa TV promotes terrorist activity and incites hatred of Jews and Israelis and much of its programming glorifying violence is geared towards children.